Check out one of the Hissing Cockroaches showing off her Ootheca!! 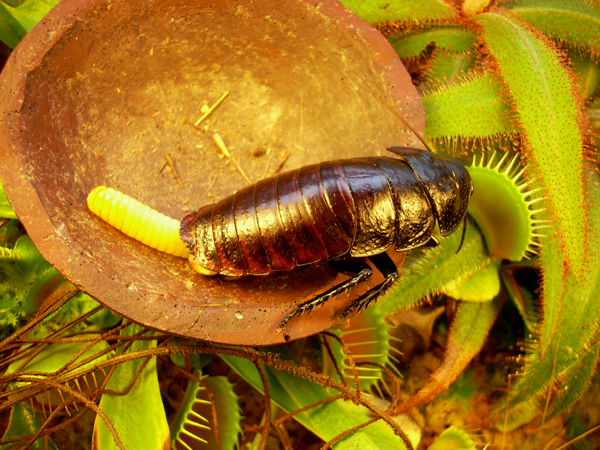 Hissing Cockroaches retain their ootheca (egg case) until birth of the young. They do this rather than depositing it immediately as other insects do. Sometimes they extend their ootheca outside of their abdomen for periods of time as in these photos. 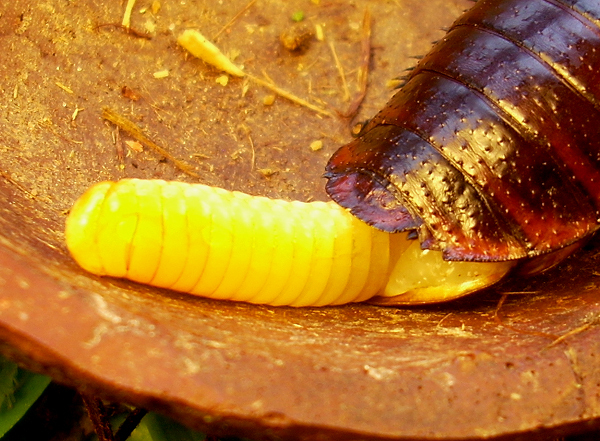 The function of this behavior is unknown, but it seems that the female is either thermoregulating or ‘air drying’ the ootheca before retracting it into her body before the birth of the young nymphs. Baby roach photos soon! Some may think of roaches as gross, disease carrying pests but they are very important parts of a healthy forest because they are decomposers. Roaches eat decaying organic material–primarily vegetation–and process it into waste that is usable fertilizer for forest plants. They are also food items for many creatures such as lizards, toads, frogs, snakes, birds, mammals and in some regions even people! Only a few species of roach are pests to humans and luckily the Madagascar Hissing Cockroach is not one of them. Isn’t nature amazing!! Now take a look at Potter. 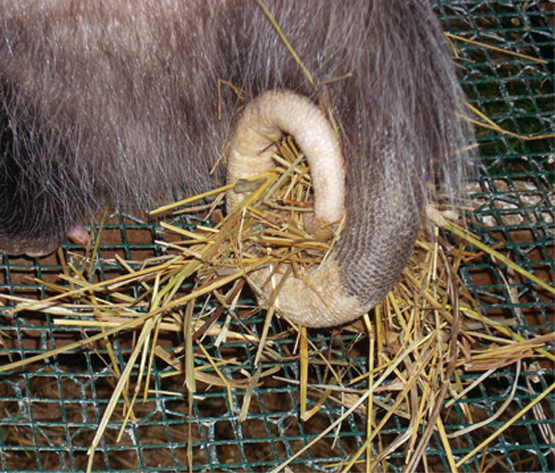 He is gathering straw to insulate his bed and yes, he is using his tail! 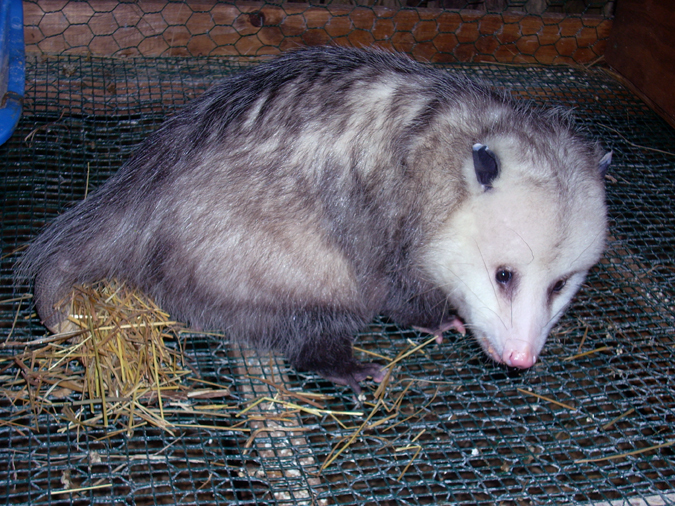 Opossums have a prehensile tail and use it to carry bedding materials and grip branches when climbing. …but they don’t sleep while hanging from their tail as the stories say. Way to go Potter!